Bail Variation – Frequently Asked Questions! What is a bail variation? A bail variation is exactly what it sounds like. It is a variation or change in the bail, which you were originally granted. When you are initially granted bail, it is highly likely that the court or police also imposed bail conditions upon your release. If you have a valid reason why you require your bail conditions to be changed, then the court may permit a variation in this condition. There are some circumstances where you must apply for a bail variation. For example, if you move house and your address is changed, then you are required to make an application for a bail variation to this extent. How do I apply for a bail variation? Applying for a variation in your bail can be a complicated process, so it is important that you have a criminal lawyer on your side to give you the best chance of having your bail varied. There are only two methods of applying for a bail variation. The first is to request the variation from the court, which granted you bail. The second is to appeal to a higher court for a change in your bail conditions. Your lawyer will prepare the relevant bail variation application for the court where you are applying for bail. They will then present this application at the court on your behalf. Who can make an application for a bail variation? Under section 53(1)(b) of the Bail Act 2013 (NSW), a court or authorised justice who holds power to hear a bail application, may also hear an application to vary bail conditions. The court or authorised justice hearing the variation application can either refuse it or vary the bail conditions as per the application. What are some common examples of bail variations? Changes in conduct requirements such as varying the time when you must report to the police, living at a different address or changing of a curfew. Changes to security requirements such as changing the amount or source of security, which is being held to secure your bail. Changes in enforcement conditions such as changing when or how you submit to breath tests by police. What happens if I breach my bail conditions? If you breach your bail, then you risk losing it. Depending on the seriousness of the breach, the police officer may hand you a warning. If the breach is considered serious, then you may be arrested and taken back to the court. 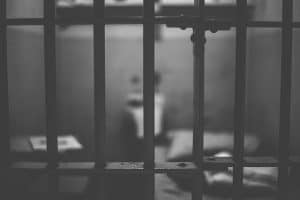 What happens if my circumstances change and I do not request a bail variation? If your circumstances change and you do not apply for a bail variation, then you may be in breach of a bail condition. The consequences for doing this can be steep and include revocation of bail and arrest. If you are currently on bail and you require a variation to your bail, then you have come to the right place. The lawyers at George Sten & Co Criminal Lawyers are experts in their field and have immense experience in dealing with bail applications, weekend bail applications and applications for bail variation. Breaching a bail condition can have serious consequences and may lead to your untimely arrest. To avoid breaching your bail, you may be able to apply to the court for a variation in your bail. Contact George Sten & Co Criminal Lawyers to find out how we can help you to do this. Our office number is (02) 9261 8640 or email georgesten@criminal-lawyer.com.au. If your request is an urgent one, then do not hesitate to contact our 24 hour legal advice hotline on 0412 423 569.